Coming soon to a TV set near you: program #7 of the ITER series produced by local channel Télé Locale Provence (TLP). After an interruption of more than two years, ITER and TLP are resuming their collaboration. 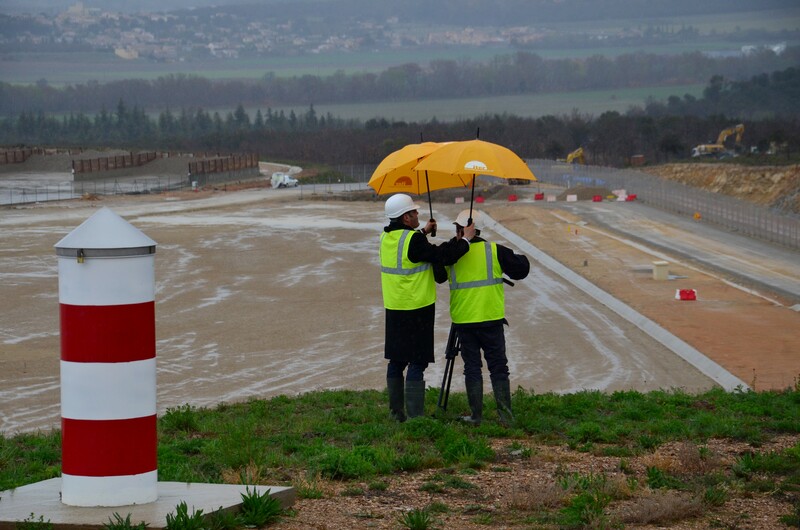 Journalist Sébastien Galaup and cameraman Pierre-Paul Giudicelli were back on site last week—despite some heavy rain—to film and tape interviews on construction progress. The program, complete with the pair's trademark (and often hilarious) "street interviews," will be aired in the coming weeks on the Digital Terrestrial Network (TNT) that covers the whole of the Durance River Valley; on satellite TV; and also through the Orange, SFR and Numericable Internet TV service.